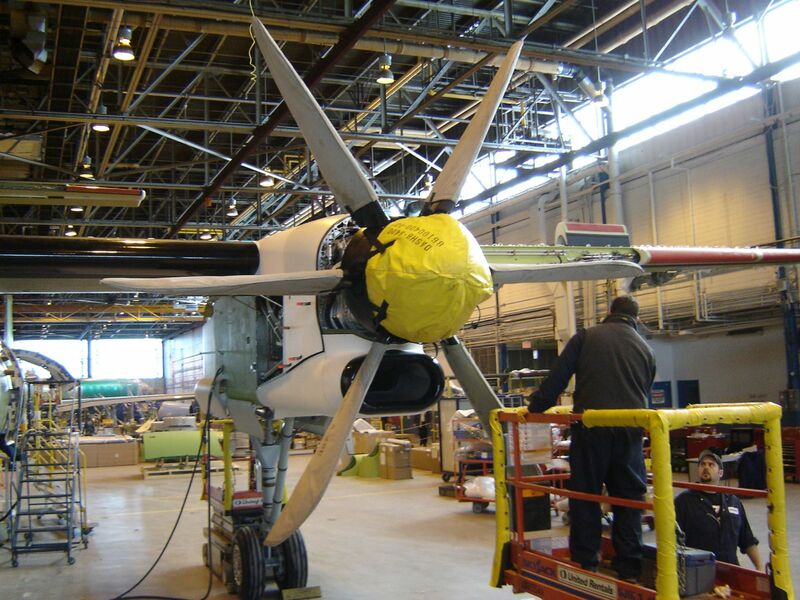 With such a diverse customer base and over 60 years of experience, we can manufacture exactly what you are looking for. 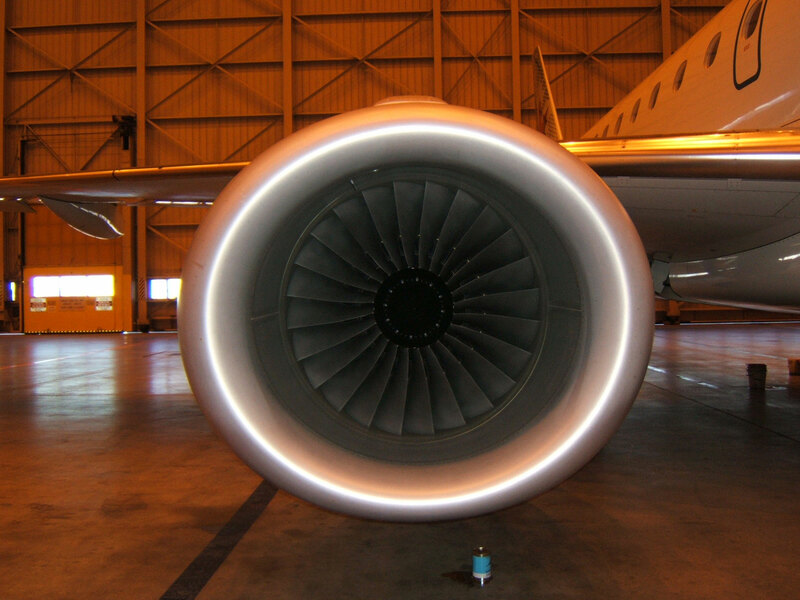 No request is beyond our capabilities. 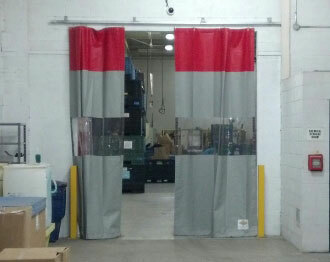 Here are just a few examples of custom work we have done for different industries. 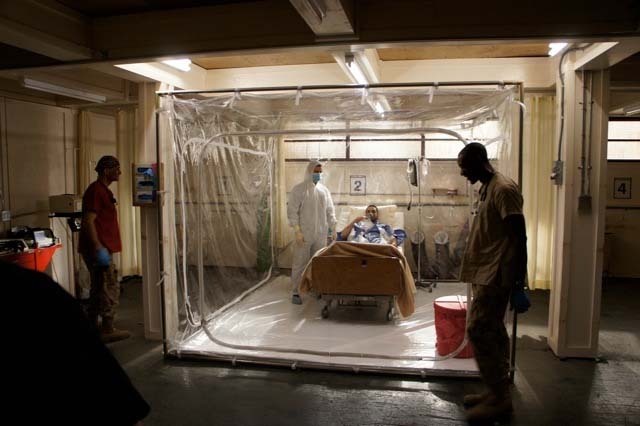 Custom fabrication of an Isolation Tent for ABC's hit TV series Combat Hospital. 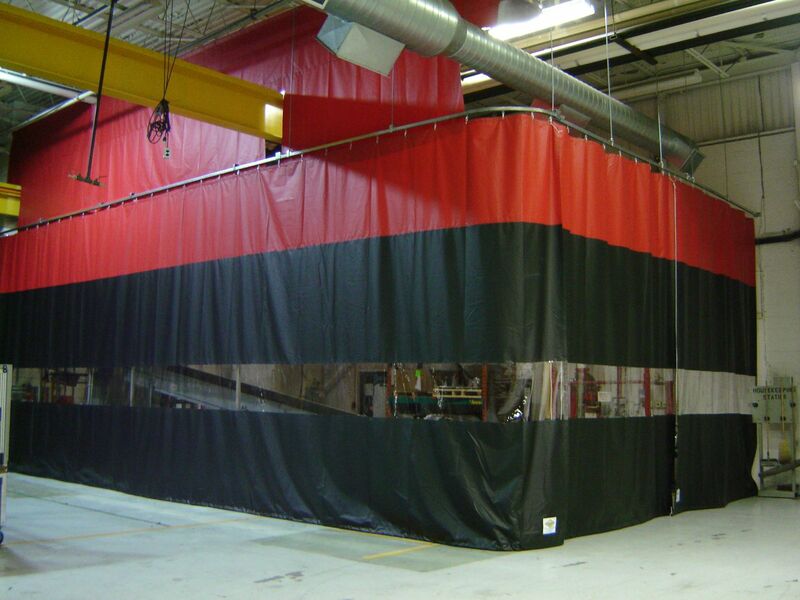 - Build to spec, fully enclosed replica isolation tent. 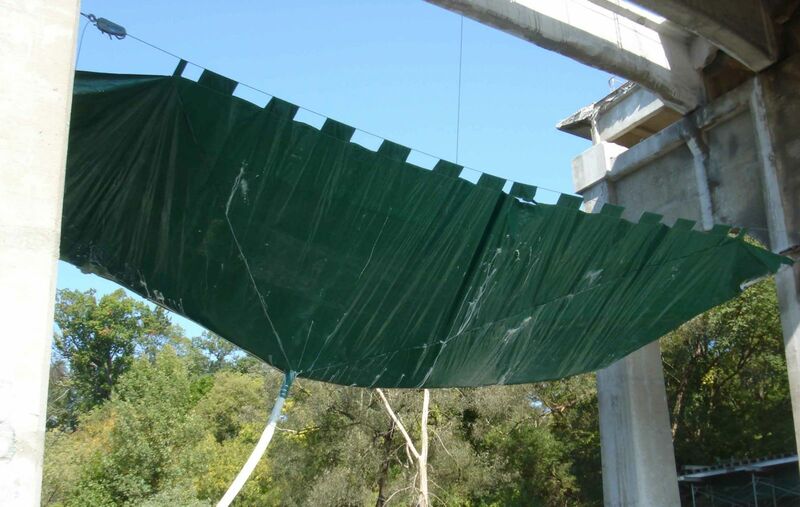 Custom fabrication of tarpaulin to catch construction debris from Toronto bridge repair project. 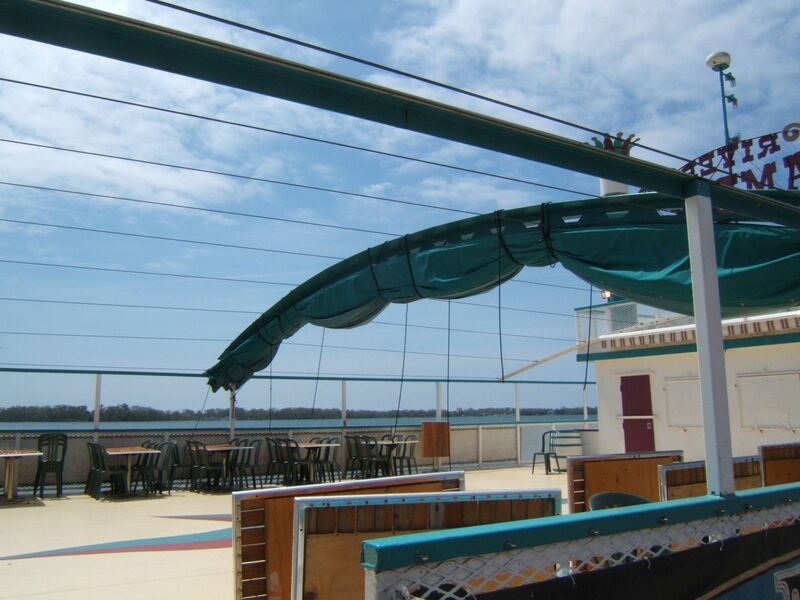 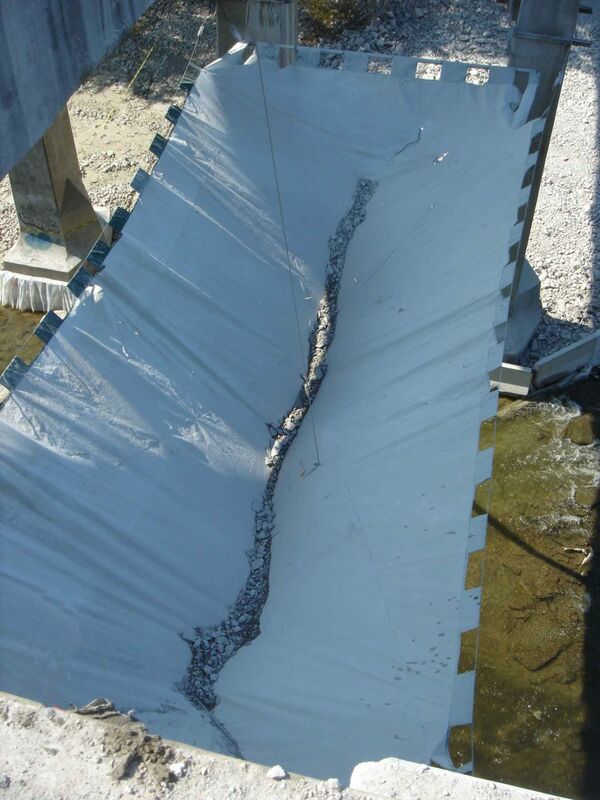 - Design and custom fabricate a fabric funnel to catch bridge construction debris and avoid river contamination. 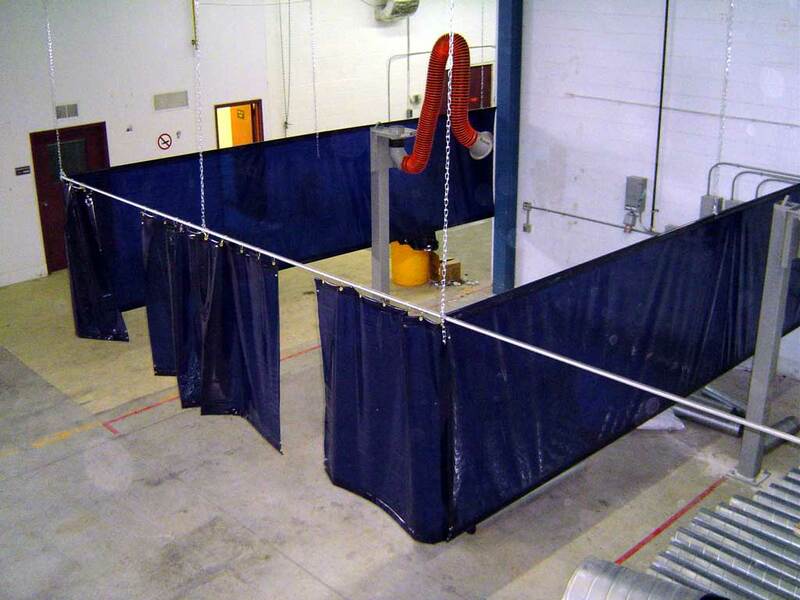 - Collect and funnel debris, without abrading the cover, to a safe location for disposal. 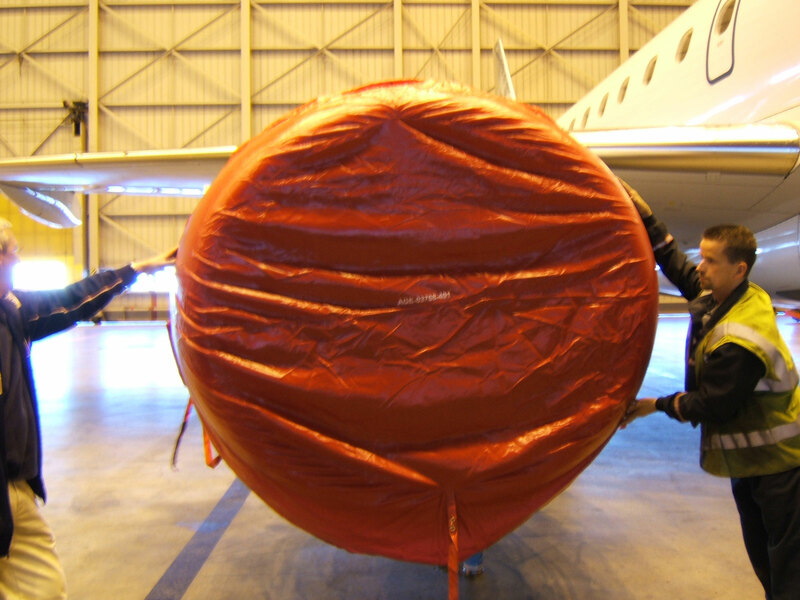 Custom fabricate OEM protective covers for commercial aircraft manufacturers. 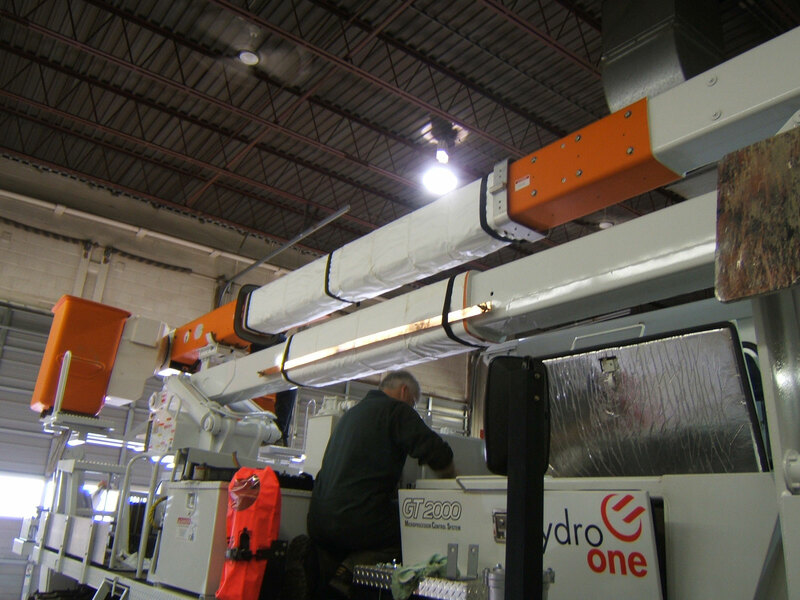 Custom fabricate OEM protective covers for elevating work platforms and hydro bucket covers. 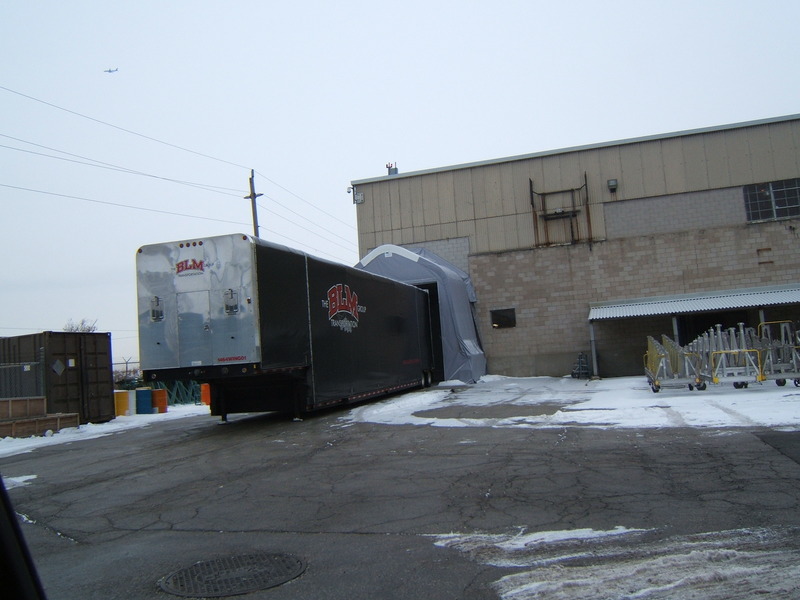 Wajax boom truck cover and Posi-Plus bucket cover shown. 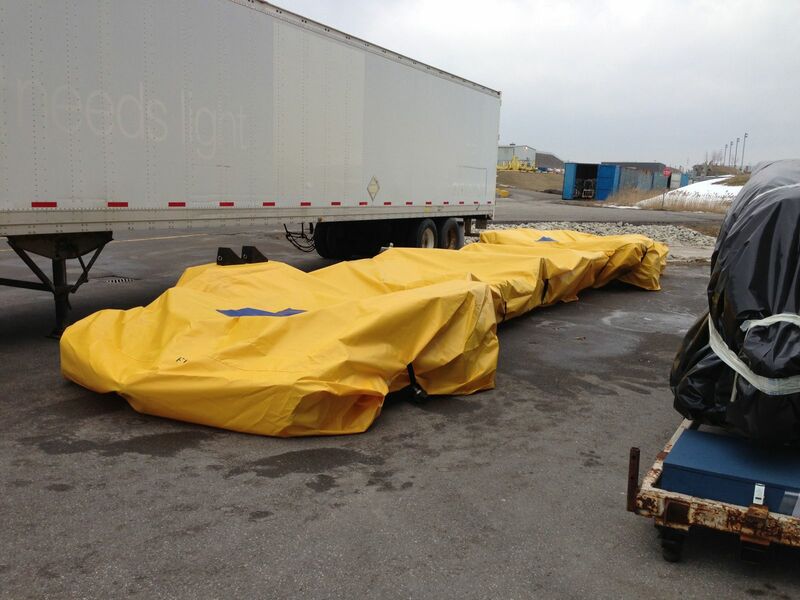 Cherry picker bucket covers and crane boom covers of all sizes. 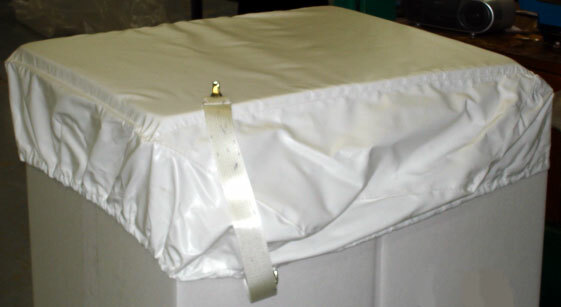 Cable reel covers in various sizes also available. 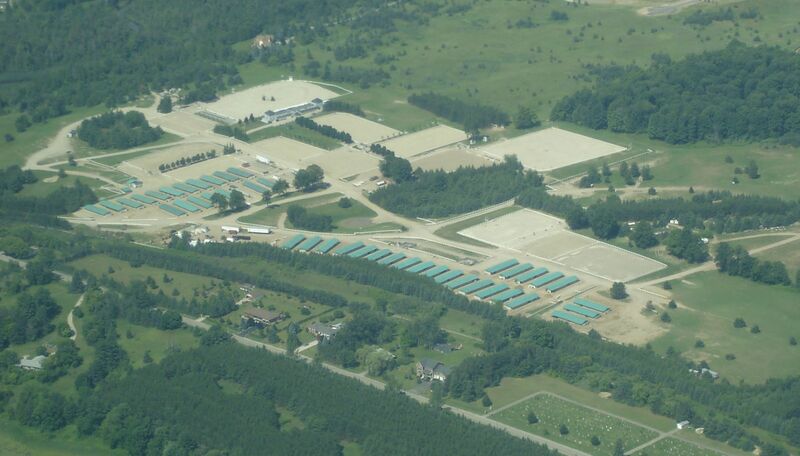 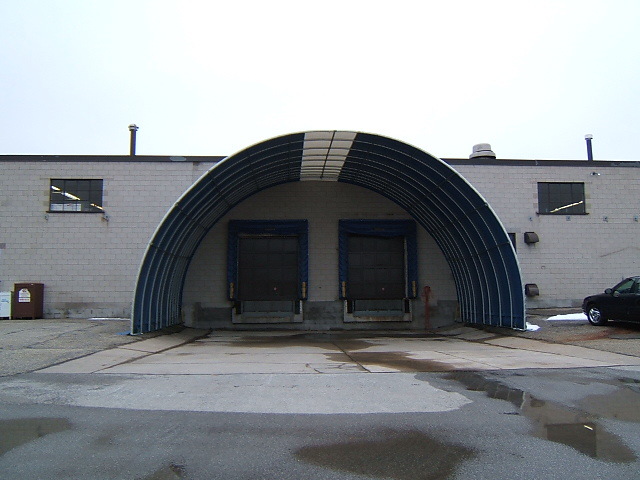 Loading dock enclosures and staging areas. 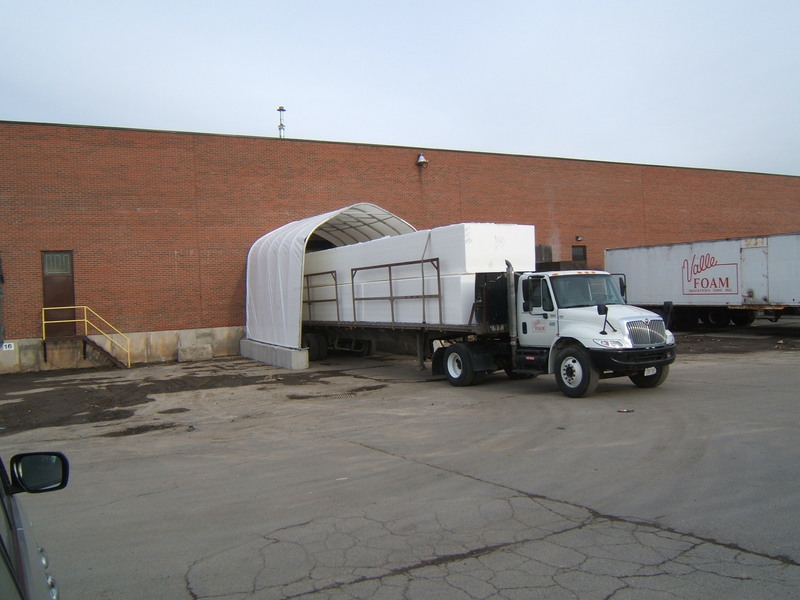 Custom protective machine covers for road transport. 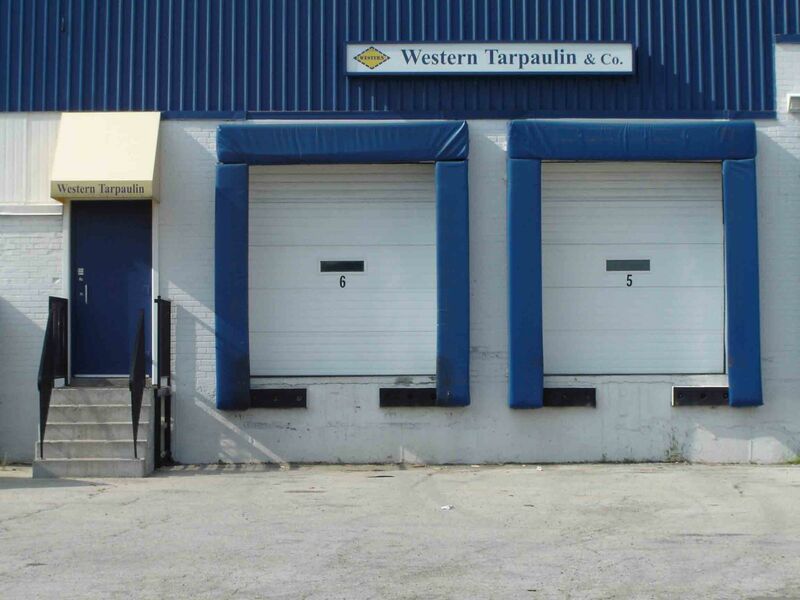 Fabric top horse boarding stables and run in shelters. 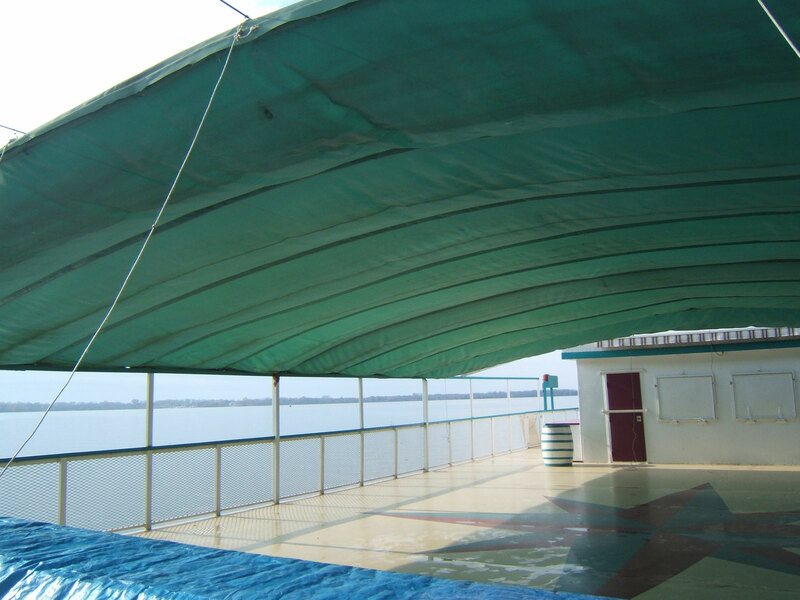 Call us with your requirement.